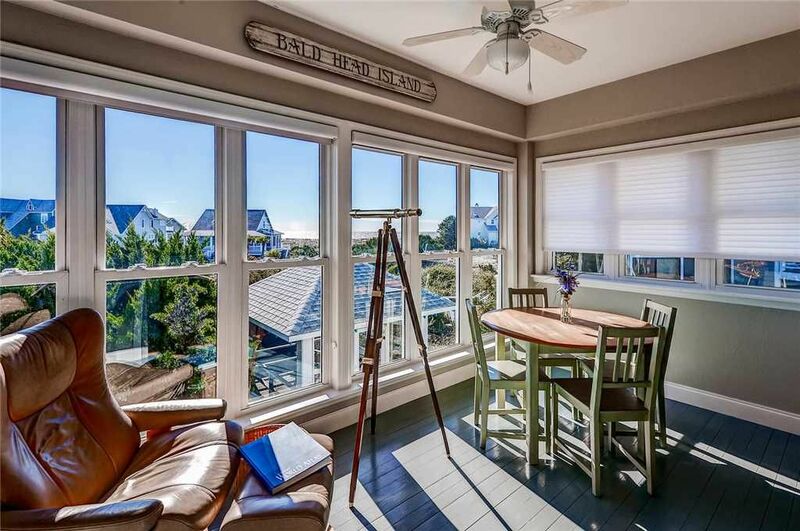 Escape to this beautifully decorated home while you watch the ocean from the living room. Escape to this beautifully decorated home while you watch the ocean from the living room. This centrally located home invites you to relax on one of the porches or in the sunroom. Sleeps 12 (max.). 5 bedrooms (1K-1K-1Q-1BB-1BB,1TR). 4 full baths. 1 half bath. (2) 4 passenger cart. Screened porch. Friday/Friday. 5:30 p.m. arrival/11:30 a.m. departure.